The Scarlet pimpernel (Anagallis arvensis) is a low-growing annual plant in family Myrsinaceae. This is a weed (unwanted plant) that grow along field sides and even in wheat crop. They have tiny flowers with a 6-7 mm diameter and 5 petals. The flower can be red, orange or blue with a dark purplish center. 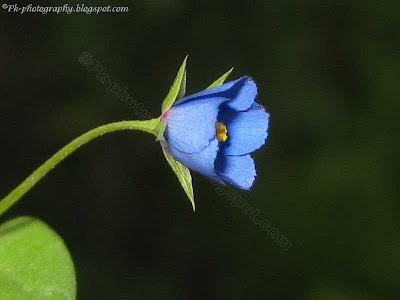 The flowers are light sensitive that open in sunlight and fold up in the dark. 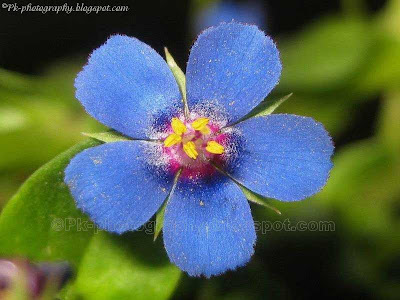 Their common names include blue pimpernel, red pimpernel, poorman's barometer, shepherd's weather glass or shepherd's clock. Locally it's known as Mangota or udigulay. 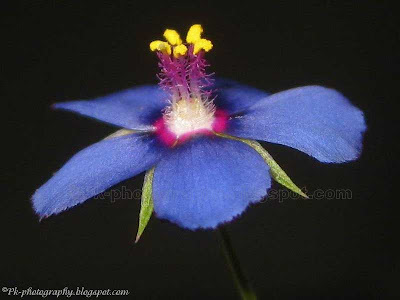 In NWFP both blue and red species of Scarlet pimpernel grow. 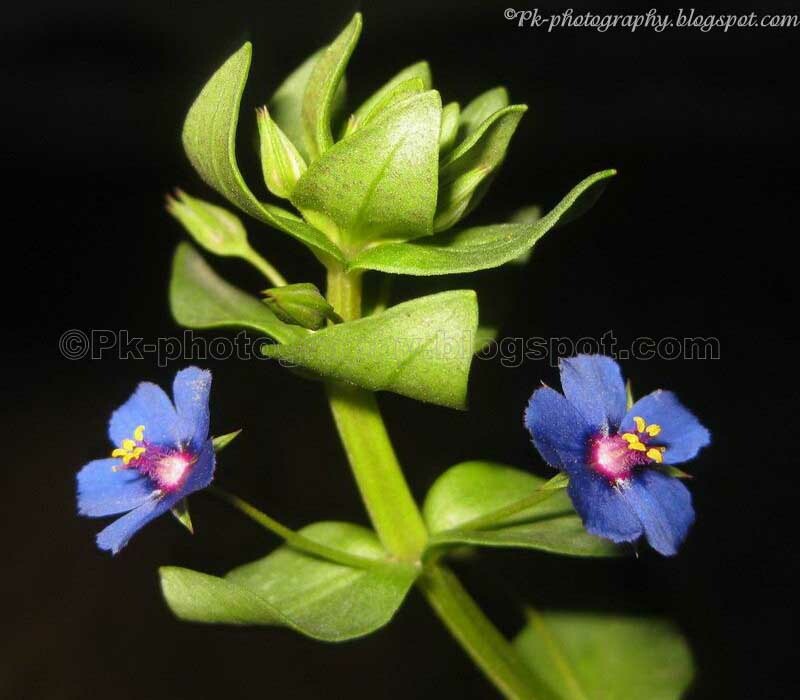 The blue species grow in plain areas, while the red or orange species grow in hilly areas. Hi Birdy, yes even weeds have beautiful flowers. I've been fond of getting weed flowers also, though my PnS camera cannot do justice to the job. Hopefully my i will be able to learn fast with my new DSLR so i can get better weed flowers. Thanks Andrea for the comment. Eagerly waiting for your pictures.